Ever wondered if you can record calls of your dear ones and listen to it online and see if they are truthful and loyal? Then you are in the right place. “Remote Call Recorder” helps you record a phone conversation discreetly and listen to it online. Install the app on the target mobile, register and you will be able to pull recorded files from website. You will need access to the mobile device for 2 minutes to install and register. Calls wont be uploaded to server it has to be pulled manually. ✔ Capture any number or duration of calls. ✔ Receive reminder notification of calls in mobile once in awhile. Install the app on your mobile, if you wish to install the app on someone else mobile, you would need the access to the mobile for 2 minutes. Download the hide icon version directly from website to the mobile. Click on the apk and register by specifying your email id and password. Check settings to enable call recording and pulling of files from server. And dont forget to hide icon. You can now login to website at https://trackMyPhones.com/spycall and start pulling recorded files by clicking on “Get Call Records” button. You will receive mail with the call records pulled from your mobile with call time and other party number. Only 10 files will be pulled at a time so you might need to click on the button multiple times depending on how frequently you are pulling the files. Even if you forget to pull files from server, don’t worry, it will be hidden in mobile and wont be accessible to any media player as per the new update. If you wish to delete all your records you can click on “Delete all records” link at the bottom of the display page. To unhide application icon dial *888* (including stars). To disable security alerts, read the blog here. 1. Download the app into target mobile via the above link. You can also connect USB cable to laptop and transfer it via laptop to one folder. 2. Install the app by clicking/tapping on the apk file. If installation from external source is not enabled then enable download from external source in settings. 3. Open the app and register by specifying Email id and Pin/Password. 4. Once registered, click on settings and make sure ‘Hide Icon’ option is enabled if you wish to hide the icon. The icon will be hidden after 10 sec. If the icon is not hidden even after a minute then try restarting the phone. 6. Thats it, now you are set to record and receive call records online from website. 7. To test it, try making a call to a number and talk for few seconds. Login to http://TrackMyPhones.com/spycall. And click on ‘Get Call Records’. You should receive a mail to your email id after few seconds with the details of the call. Recording calls are completely mobile specific. It might work in some mobiles and might not work in some other. We have tested it in Samsung S3, S4 and S2 and in LG Nexus 5. The app is told to record only one sided voice in some mobile and fail to record in some. We are working on it to make it compatible with as many mobile versions as possible. 1. If app is crashing with “Application Record Failed” check if any other call recorder is installed. 2. If long duration calls are not getting recorded check if battery saving apps are installed. 3. To check if call recorder is still working, go to SD card, check “.settings1” folder to see records are stored in there. if not then call recorder is not recording any calls. Check if call recorder is still installed by dialing *888*. if nothing comes up then app is uninstalled from mobile. 4. If app is still installed, then open the app and close it and test by making a call and see if you get records in “.settings1” folder. 5. Audio File size is too small: This happens when 2 or more call recorders are running. The first call recorder will acquire the mic and the other call recorder will exit with an error, creating only 0 kb files. SO make sure there are no other call recorders running. Some mobile now has built-in call recorders so you will have to disable those as well. 6. No Records are uploaded: This could happen for 2 reasons. Either app is uninstalled. Or App is force closed. If app is force closed then you will have to open the app once for it to start working. If the app icon is hidden then you cannot open it, in that case you will have to login via browser, unregister, then in app find the app under settings and uninstall. Then download apk, install and register with old email id. 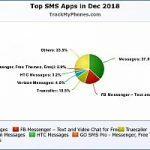 If you have any other query not answered in this blog kindly mention it in the comment section below with necessary details or mail to srihari@trackmyphones.com. Dont forget to mention Mobile model, and result of the above troubleshooting tips, else it will be very difficult to tell what exactly is wrong. ‘Tracking smartphone’ app does not work but recorder app works properly. Is there any possibility for changing the name of the app ‘recorder’. How come some audio files on the capture phone calls app don’t show a time limit & when I try to play them the usual way I play files with time limits they won’t play? Are they corrupt? These are calls that were answered. Some are as long as 30 minutes I have noticed the file sizes are 6.04 KB so maybe there’s nothing there to play. Hi, so in mobile its stored properly with whole duration and when pulled in website you can play upto 50 to 90 secs only? That i dont think its possible. It should have played the same way as it plays on mobile as files are not truncated during upload. Can you confirm once again? Thanks. hello sir… i am very much happy with the service you are providing. i am able to get all the call records from victims mobile. thank you for wonderful support.. Currently we dont have such app but we are working on it. Will update in our facebook page. Everything is ok but, I cant hear the voice from other side, I just listen the voice from my phone. I checked up the option Increase the mic volume but, didnt help me. i want to get back two deleted calls by mistake, how can i do that? Hi EM, Since these are confidential files we dont keep a backup. It will not be possible to get the files back once deleted. I want my old file how that possible? Files older than 60 days will be deleted automatically. If its deleted it cannot be got back. Kindly take backup of important files. Hi. I recorded calls for month but just set upbemmail. Hoe can I get the old calls sent to email or download from cell to laptop? Thx!!! i assume these recordings go on the phone as a file and then u upload them thru yiur server…..when i delete them from your server, do they auto delete from the phone, or do the files stay on the phone and keep on using more and more of the phone drive? Good question, all recordings are stored on the phone, once you request for pull from server it will be deleted from phone and uploaded to server. So if you Dont pull for long time files might be accumulated on your mobile else there is no worry. and not playing in vlc media player. Hi Narender, I have not tested this app on Gionee phones. Will try to test it and see where exactly its failing. Can you try the new update: http://TrackMyPhones.com/spycall . Let me know if calls are getting recorded properly. Will it record Skype calls? No this app doesn’t record VoIP calls. As of now. No damage is done to mobile, its just a software to record calls and upload. If you are using for spying purpose i would advice to test it once as few mobile are not compatible with this app. You need to unregister from website and then you can reuse the email id. PLEASE TRY IT ON GIONEE M2 . Nobody deletes an account. Only you can. You probably trying in a different URL to login. Which app you installed and registered and what’s the URL you are trying to login? Does Lookout Mobile security pick this up as spyware?? I tried using another app on my spouse’s phone and his Lookout mobile security flagged it as spyware. Then it gave him the option to delete the file thru the Lookout app. So he deleted it. No. Lookout marks this app as a safe App. I retrieved all the calls from the server for the entire month and only 5 of them played on Quicktime .. I can’t get the media to stream on the site .. can you help ? Maybe I’m doing it wrong .. The audio is not mp3 its amr. Although the extension is still mp3. Most browser will not understand it. You can play it from your mobile browser. Or you need to download and play it on VLC player. You can also install QuickTime plugin to your browser that might help streme I have not tried this though. It is downloading calls in seconds only. Last night, I had a recorded call of 10 minutes. Today, I uploaded it and found that its duration is of 30 seconds only. I am using Galaxy S2. Hi, Are you using some kind of battery saving apps? These apps tend to kill background non system apps. You need to add Spy Call Recorder in the exclusion list of battery saving app if that is the case. I will like to know How can I access recorded files on my mobile phone without uploading them to the server. Hi Gabriel, all records will be in SD card under “.settings1” folder. I can not fine settings1 folder in sd card. Where I can find recorded files without internet access in my phone. I can only hear what the person on the target phone is saying & not the person they are talking to. Earlier version of the app used to increase the volume to full before start of the call that used to record both side voice clearly but many complained that they were hearing a loud beep (due to increase in volume) and that was making the app unusable. Now that is removed so to hear the other side voice you need to ensure that your mic volume is full. Will try to add this as an option in config whether or not to increase volume before call record in future release. Its “.settings1” starts with “.”. Directories that starts with “.” are hidden by default. You need to use some file explorer that shows these directories. You can also see the full path after every call in the popup message. You need to download the hide icon version. And enable the option to hide icon and disable the option to show notification inside app settings. I have observed that this message appears when we are using more than one call recorder. If you have installed any other call recorder you need to uninstall that. Also if you are using any battery saver app add spy call recorder in the exclusion list so that battery saving app doesn’t kill Spy Call Recorder when its running in background. Is this utility work on Samsung Note2 N7000 mobile? If so should I need to enable call record option in the target phone? Please confirm. If target phone doesn’t have sd card installed then also is this utility record the calls and store the recorded files on target phone? Yesterday I’ve installed the app on target phone and make number of calls. But I am not getting any call recording on my email. Secondly getting error ‘ unfortunately call rec has been stopped ‘ on target phone while getting call records. Im having an issue with the audio. The program is capturing the audio and uploading it to the website but VLC player does not read it. Quick-Time does not read it. On my GSIII ES Media Player and Google Media Player recognize the file but when they play there is only a few seconds of audible background noise and then it just starts to buzz. Please help! I am trying to use it in a Samsung GT-S5301L with android 4.0.4. It records but when I want o play de audio, it sounds very fast. so such as an squirrel. Do you know what can I do? regards. Your app is excellent and working fine on Samsung galaxy Y. Its icon and notifications are hidden working fine. But one can easily get to know its a call recorder by seeing its icon and name in taskmanager or app manager and can be uninstalled. So to avoid this can u please change its icon and rename it as “play security” or ” Android security” something like that. Can you please do make the changes and send me that APK to my mail. As a your a developer its not a big task for you. ThankQ sooo much in advance. hi sir, recorded calls are showing on spy call recorder website, but i m not able to listen on website and its showing file is corrupt when trying to download. Did you right click on download and select ‘save as’? Your browser will not understand amr format. You need to download and play it in VLC player as instructed. Internet is not required to record calls. But its required to pull files to your login. 2nd question is where is the recording file in mobile if we want to see can we see ??? Hi I am having difficulty signing in on a desktop and my mobile it keeps saying invalid email ID but when accessed from target phone it works can you help me figure out how to access from another mobile and desktop please? If it works from mobile it should work from website as well as both are the same page. Are you trying to login via the same app page? Hope you are not going to some other app page and trying to login from there. this is the great app but the only problem is the name appears in the app list in the settings or app manager.so plz can u rename the app and send it to my mail id? A big and heartly thanks to you in advance.You are doing great job by saving my lives. 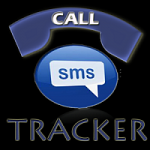 Hi Harveer, did you try http://trackingsmartphone.com app? That has what you just asked for. Out going recorded files not sound. Any solution please. .
You can’t play old records from app directly. Go to “.settings1” folder under SD card and play from there or pull files to server and play from your laptop. trackmyphone though is hidden in desktop, it shows in Settings – Application list. If not completely hidden, Could you please make it appear with another name like Settings or Security etc. Hi,kindly try our new app http://trackingsmartphone.Com app. That has the feature you just mentioned. This application existing in Application list in the name of “Call Rec” which sounds still suspicious. Can you please rename it to some general name ? Like sys, androidsys….. something like that…. Hi! Did you try http://trackingsmartphone.com app? It has the features you just mentioned. There is no use if notification appears. Please advice. The settings will have option to disable notification. I am not sure how can it can still show even when its disabled. Its been tested properly. Kindly reply back with mobile model and vendor details for us to investigate. Is this compatible with a galaxy s5 and how long does the software record the calls and also will it be able to record if the target user is using a bluetooth? This app is compatible with Galaxy 5. The calls will be recorded as long as you speak and as long as u have space on your mobile. Status of Bluetooth has nothing to do with recording. Wonder why you asked that. I hide this app from applist. But only problem is..It is showing calrec in application manager. Then the victim will know that all calls are recording. So, Please change the app name to some systemresource name in application manager. This will help us more sir. Thanks in advance. Request you to try our http://trackingsmartphone.com app. That will show the icon as “settings”. You need to again go to settings and check box which says hide icon. What will happen if the phone memory is full? Will it throw any error notifications visible to the user of the phone? I am also worried that the call logs will show up in any disk space analysis .. Any way to escape that if the phone happens to be offline for a long time ? Hi Suhan, the app will exit without any error, it won’t crash. The folder starts with “.” So its hidden. But some file explorer might show it. The size of even half an hour call will not be more than 3mb. Phone recording has suddenly stopped for last 2-3 days. The app is hidden, so there is no way it would have been uninstalled in the target phone. What could be the reason? Will a simple restart of the phone restart recordings? Or do I have to uninstall and reinstall again? Please help on this urgent issue. how can i delete files of past calls? thanks. this is a great app. Yes, it will create problem as both will try to record calls when a call comes and only one will be able to acquire mic for recording and other will fail with an error. Use TrackingSmartphone.com with call recording enabled.